Come and adventure at Pärnu Adventure Center! – specially designed air dives, where two long descents allow two people to go together, side by side. – The Tarzan Jump for adrenaline seekers. Jump to a net from the towers third floor while holding onto a rope. Pärnu Adventure Center has over 50 adventure games. An adventure game is one part of a trail or an obstacle that can be passed through. In addition to various trails, you will also be able to find a special air dive, where two long descents will allow friends to go together each on their own dive. A good opportunity to give your mother-father, sister-brother or a friend a gift card that you can´t buy from a shop! Contact us or come buy the gift card from the Adventure Center. 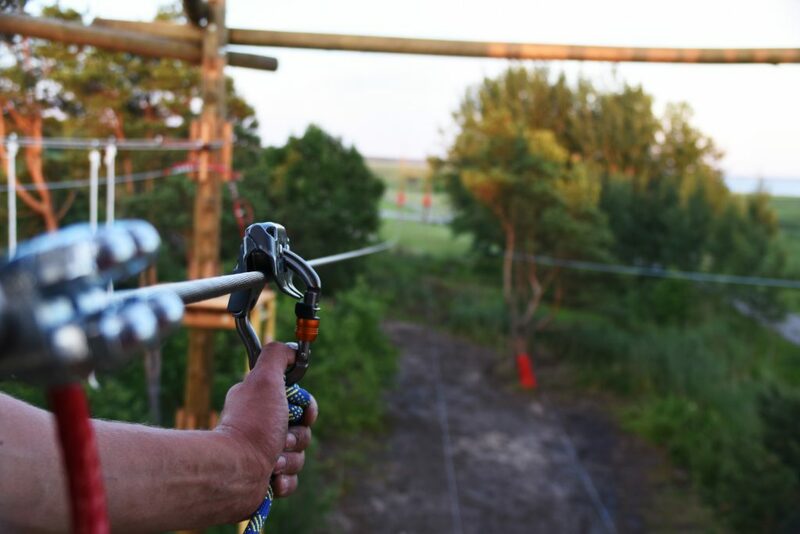 Pärnu Adventure Center’s entire adventure park is open for young people and adults. Young children can adventure on the childrens trail. Take a look at the observation tower where you can see the sea view of Pärnu Bay or conquer the hardest, 12 meter high trail. Book a time and come adventure with your friends or family. We have discounts for groups with 10+ people.